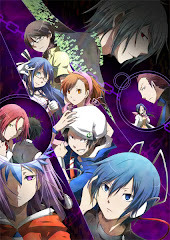 (+)Pros:-Amazing campaign with humourous writing and incredibly well designed puzzles,- challenging and mind wrecking,- new features added to puzzles which add much more variety,- cooperative gameplay is smart and provides a new alternative take on puzzles,-overall campaign is much longer. (-)Cons:-No challenges missions unlike in the first portal. Lets kick off november with a review of an awesome game. Remeber portal? Something that was only designed for a short game for the lolz became so phenominal that they had to make portal 2. Portal 2 is a standalone game now, and as expected, valve pulled it off once again to make another masterpiece. 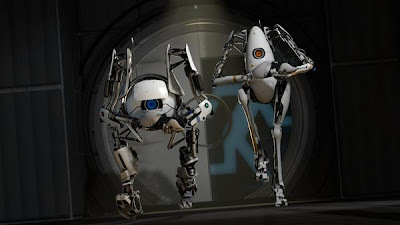 Portal 2 has improved from the original portal in almost every way, and is sure to bring all players for another round of mind wrecking portal puzzles that are so cleverly made, its almost impossible to hate them. Theres no need to recommend this, just as portal was, portal 2 is an intruiging puzzle journey that can please everyone, and makes almost any other puzzle games look shallow when put next to them. Aperature science has changed along the years. 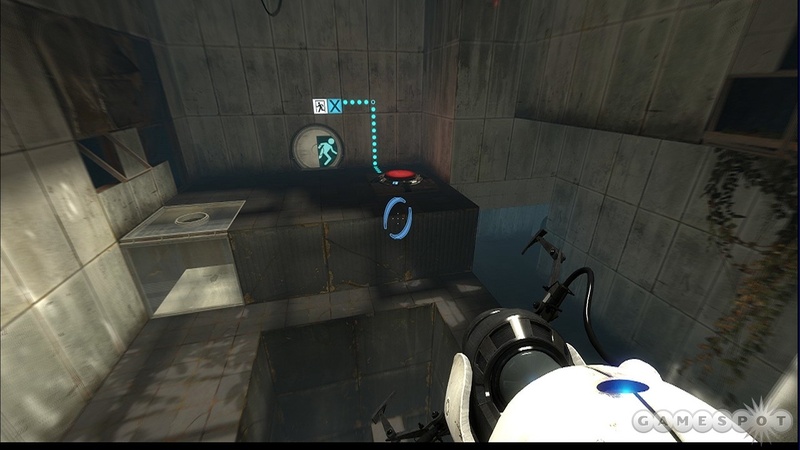 Gameplay in portal 2 is very similar to the original portal. You fire 2 portals, red and blue, at two different places. You enter either portal, and you end up in the other one. Simple right? Those who played the original should find this very familiar. While this remains the same, many new elements enhance the gameplay and provides tons of new puzzle variety. There are now different types of gel that you can spew over un-shootable walls and make them shootable, gels that allow you to move at the speed of light on, and lets not forget gel that lets you leap 5 feet in the air. Plain ridiculous-ness. There are also anti gravity beams that allow you to casually float on to get from one place to another, and also can be used to lift objects. The possibilities are endless. Also, now you arent just limited to test chambers, there are huge open area sections that let you roam around, and you have to really think how to allow yourself to get around. This gives the game a more "free" setting, since you have much more to get around with other than just linear test chambers. Because of this, the campaign feels much longer, not only because of the big open areas of course, theres much more to portal 2 than that. There are still sections where you move from test chamber to test chamber, these are longer than the 1st game and the puzzles are overall much tougher, you really have to wreck your mind here. Manipulating lasers, avoiding turrets, timing your portal entries...you name it, portal 2 has it all. The puzzles feel much more improved, there are newer elements added to puzzle solving, there are open world sections, and the campaign is much longer! What else can you ask for? Portal 2 also has better writing than the original. 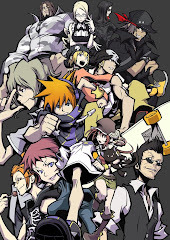 Meaning that the dialouge, story, and characters feel more significant this time round. Unlike in the first portal where its just glados and you (basically its just glados, you only hear her voice throughout the whole game), there are more characters this time round. Theres also more story involvement, as you progress later into the game, it soon becomes more of a journey to discover the story of aperature science than just you trying to escape...and this is of course, good. 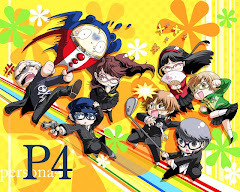 It makes you feel part of something more significant, and the newly added characters are just funny. Whitley is my personal favourite, that accent combined with that dimwit personality of his is downright hilarious. Well, another feature to portal 2 is the cooperative multiplater. While I havent played much of these at all, these are pretty fun. Basically you play as a couple of robots, atlas and p body, and are put through test chambers by glados. In the cooperative campaign, you and a friend play as either robots, and solve puzzles usually impossible when attempted alone. You have to manipulate each others portals and try exploring different alternatives to take on these newly developed puzzles, of course, this means that communication is key. This definetely means that the cooperative puzzles will require more brain stretching than the normal, so be prepared to think together with your friend. 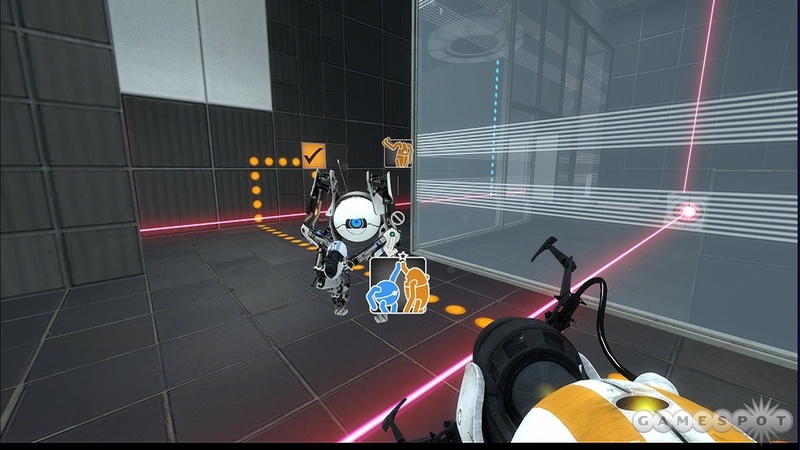 Its almost hard to fault valve for this one, portal 2 is essentially a severly improved portal. Well the only thing I can say here is that they removed the challenge missions, for some unknown reason. They gave us cooperative multiplayer to compensate but hey...something removed is STILL something. To me this isnt that big of a deal, since the campaign itself already has some really difficult puzzles. Portal 2 is amazing. It develops upon its original and made it into something EVEN better. 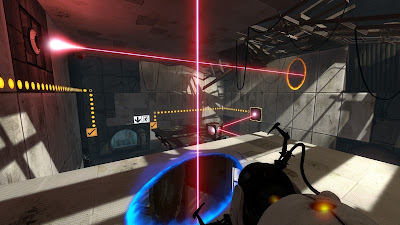 Portal, though short, was already amazing in its own right. 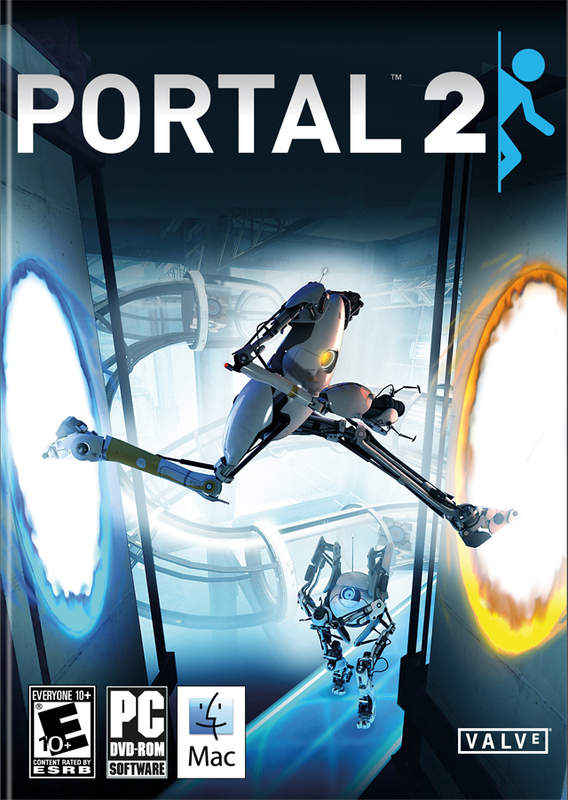 Portal 2 made its campaign longer, more challenging, and made it feel fresh with newly added puzzle elements and different environments. Portal 2 is something I would recommend to every living, breathing gamer, for the wonderful puzzle solving game that it is.